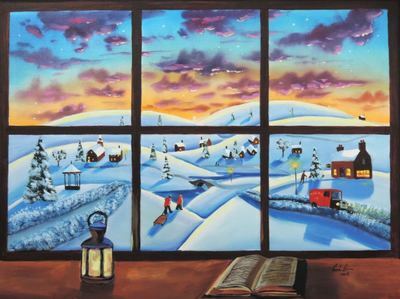 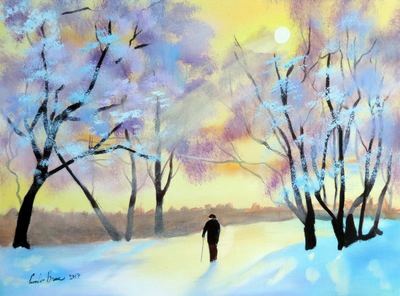 Winter snow scenes are some of the most popular paintings from our artists. Below are some great examples of the latest work from artists such as Gordon Bruce and Mal Burton. 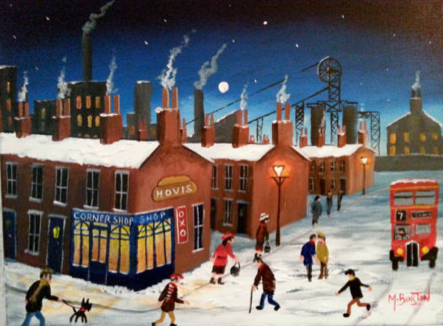 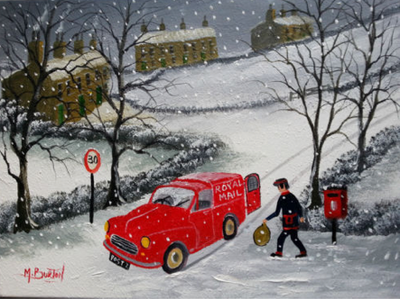 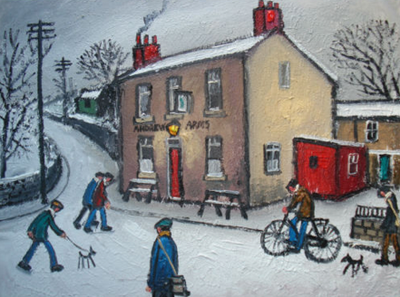 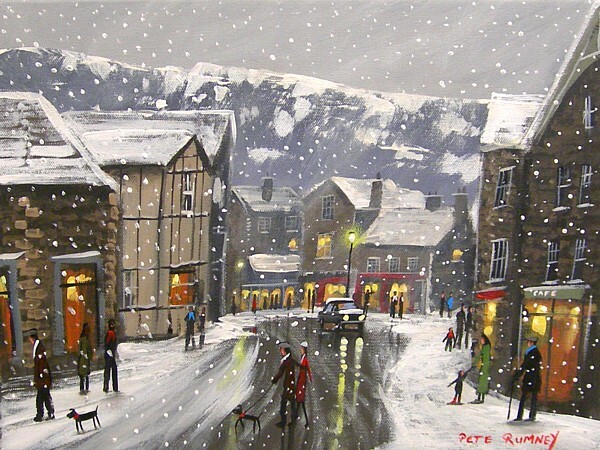 The nostalgic scenes depict life in the countryside and villages and towns in winter. 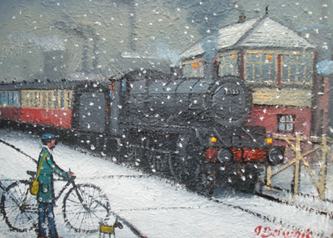 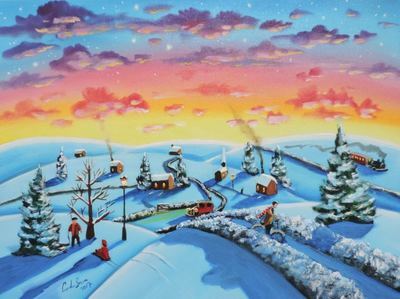 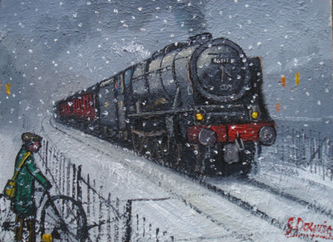 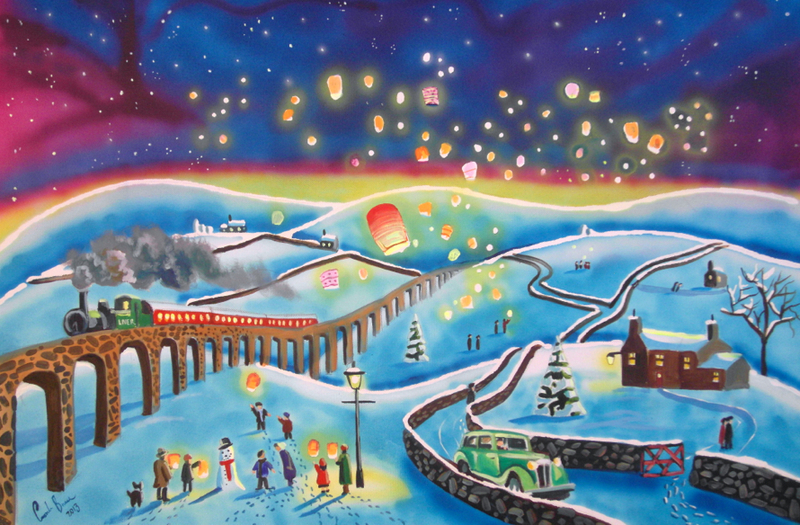 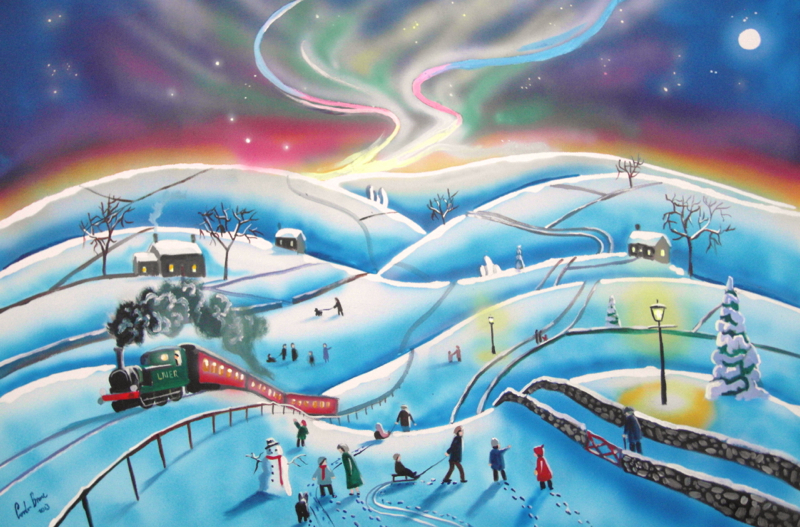 Gordon's snow scenes are usually colourful with a blue/purple sky. 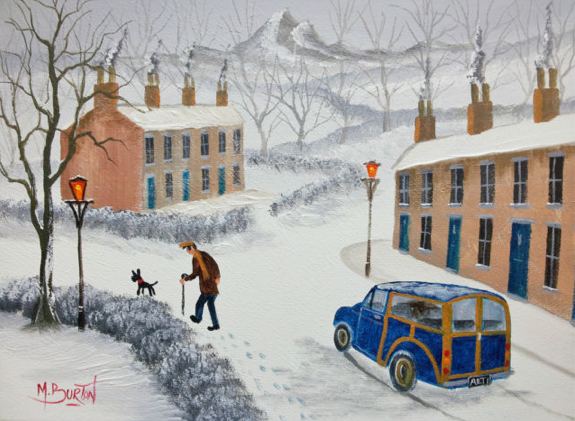 Interestingly his snow is rarely white but in fact have different shades of blue. 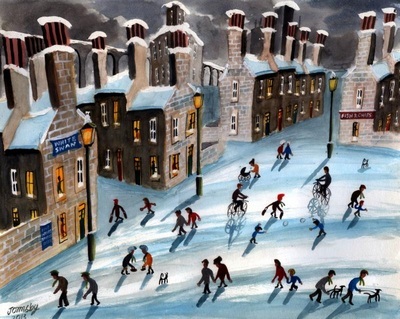 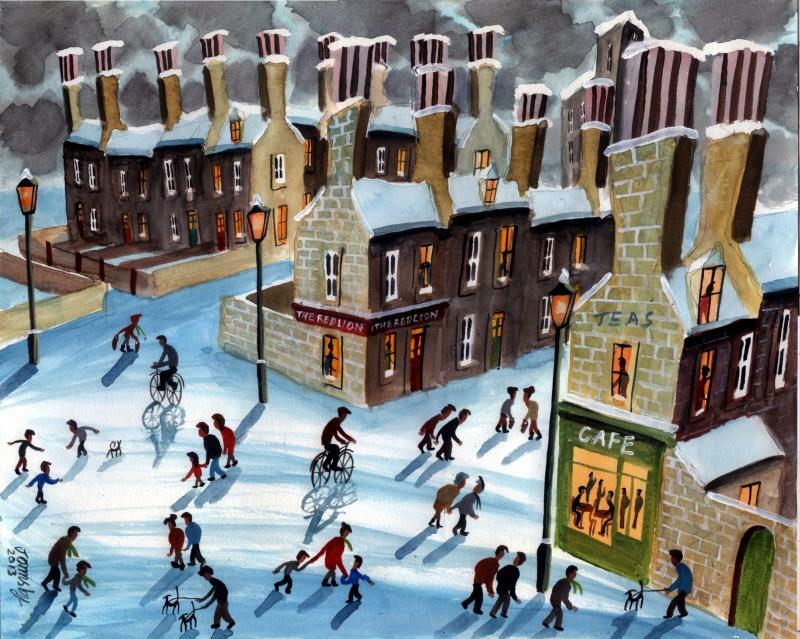 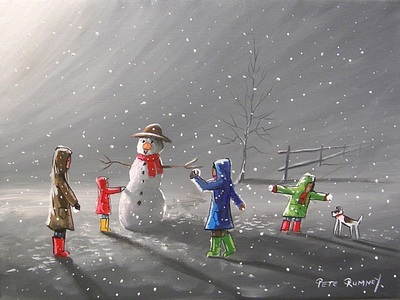 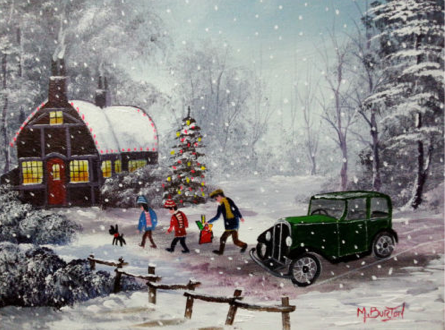 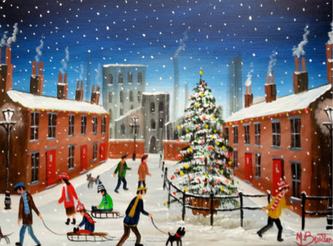 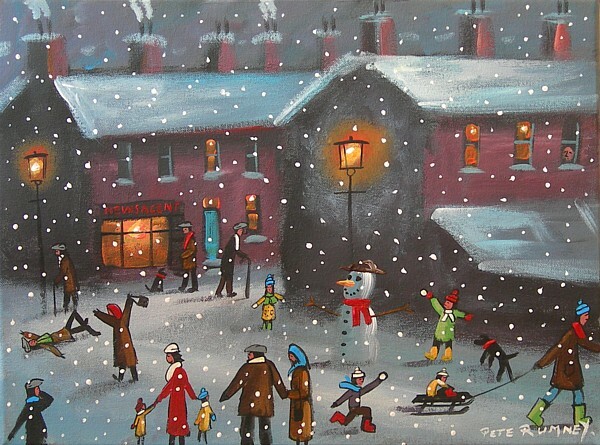 His winter scenes are soft and nostalgic with a sense of fun usually containing children enjoying the weather. In Pete's Winter scenes he likes to paint children and romantic couples. 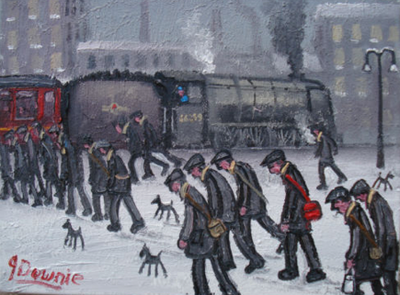 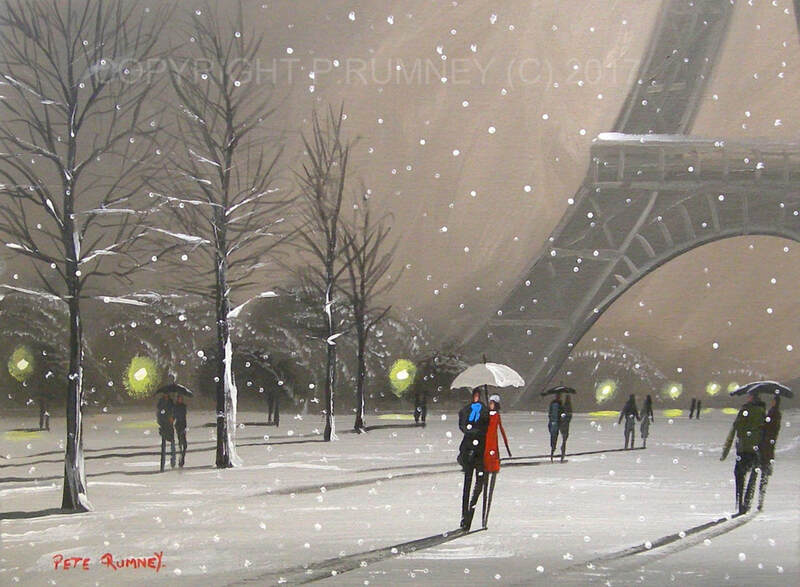 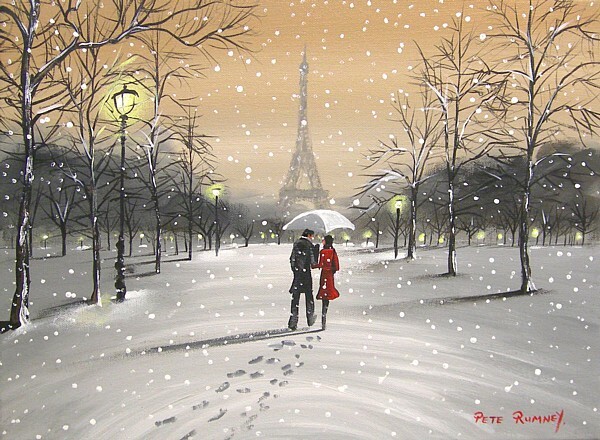 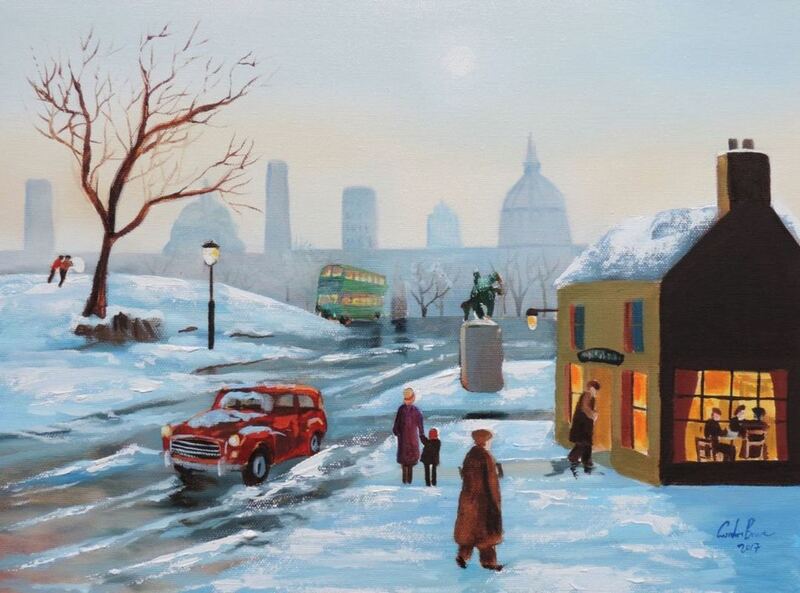 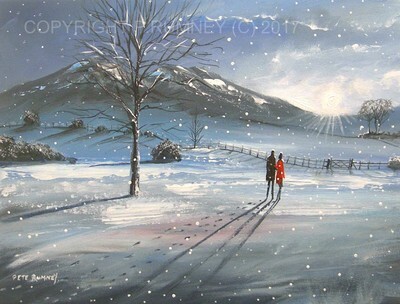 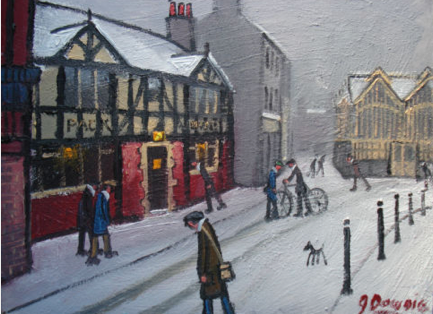 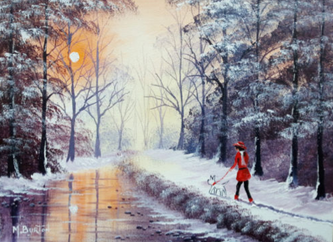 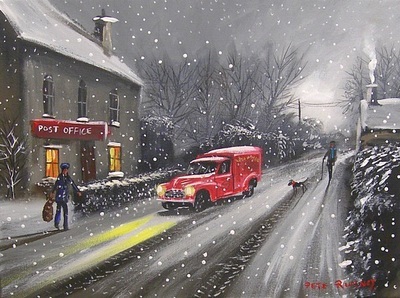 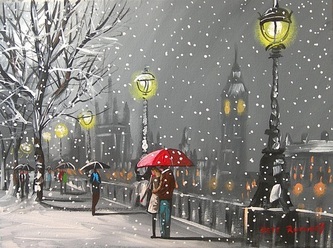 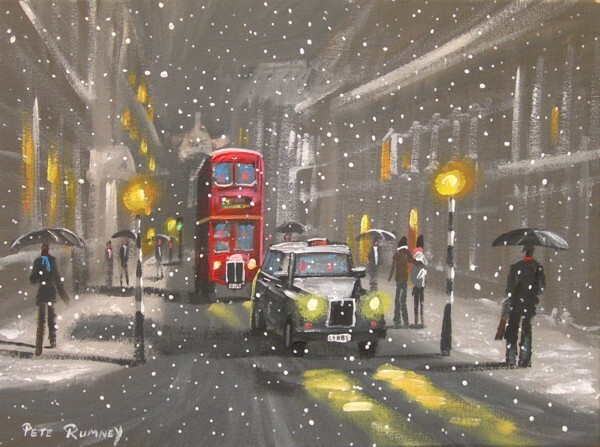 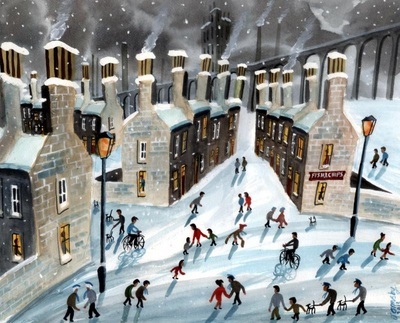 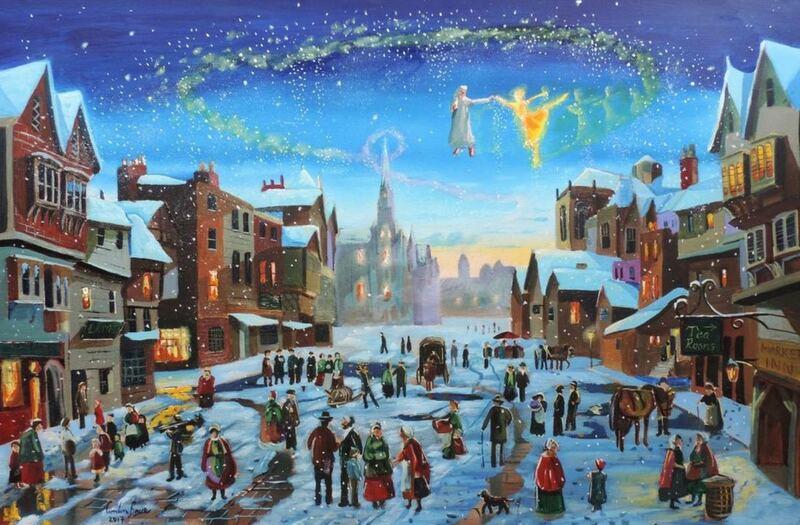 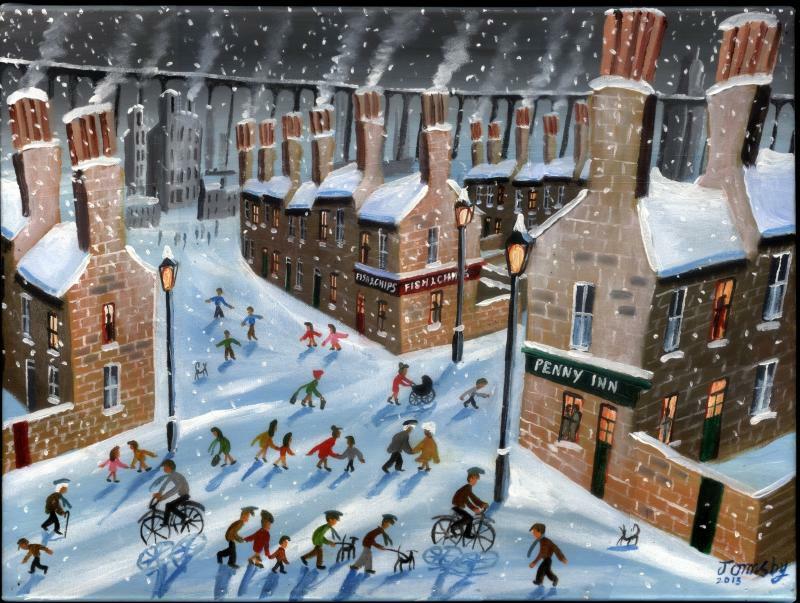 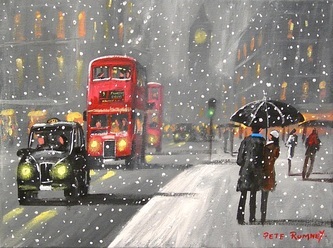 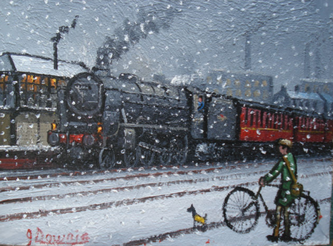 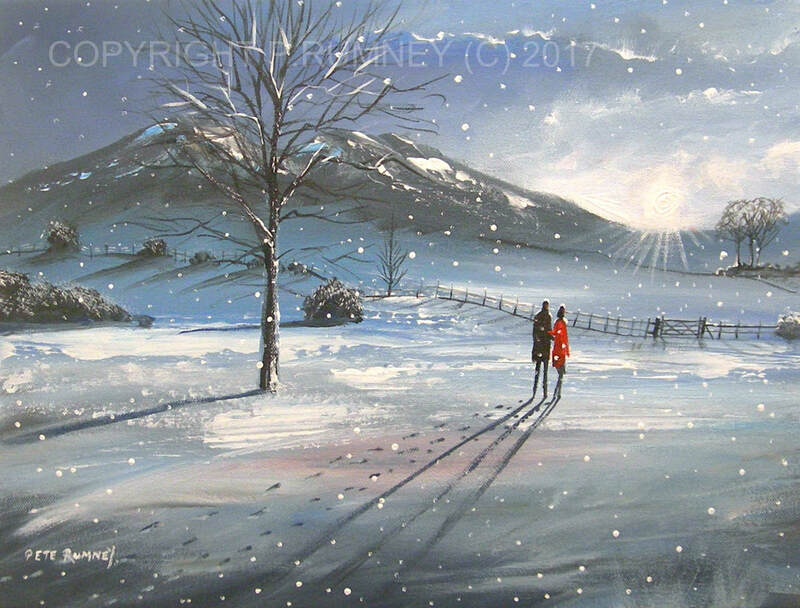 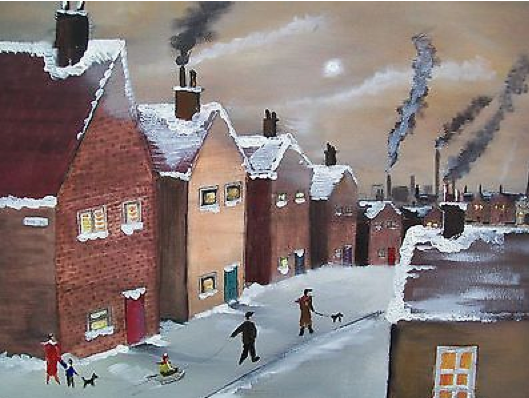 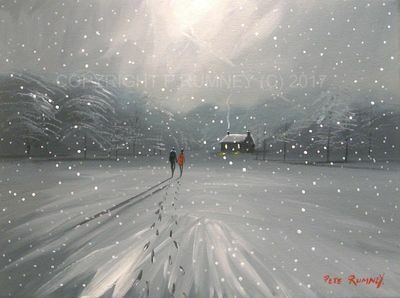 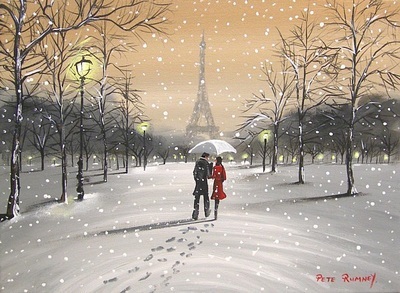 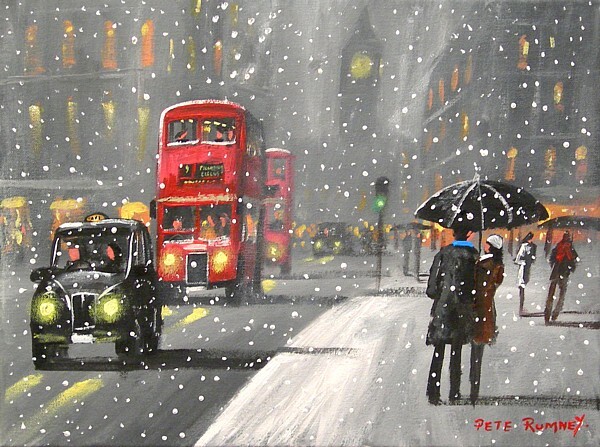 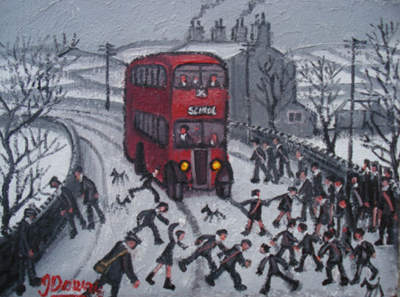 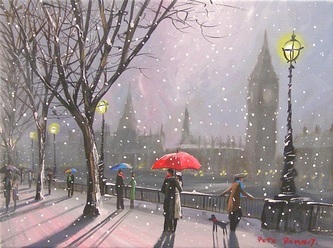 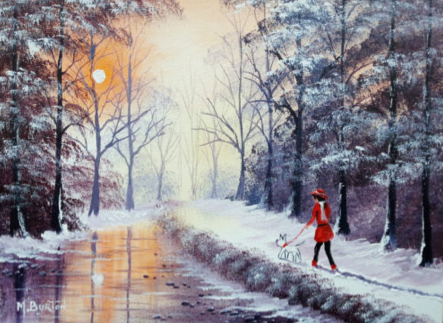 Some of his most popular Winter paintings are the ones set in London as you can see below. 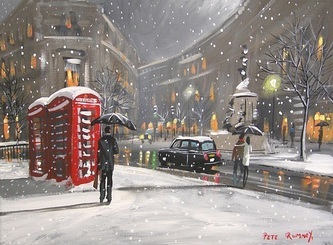 His paintings are very colourful and his vivid red really stands out against the gray winter sky. 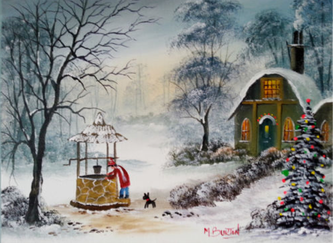 Mal's winter paintings are very popular. 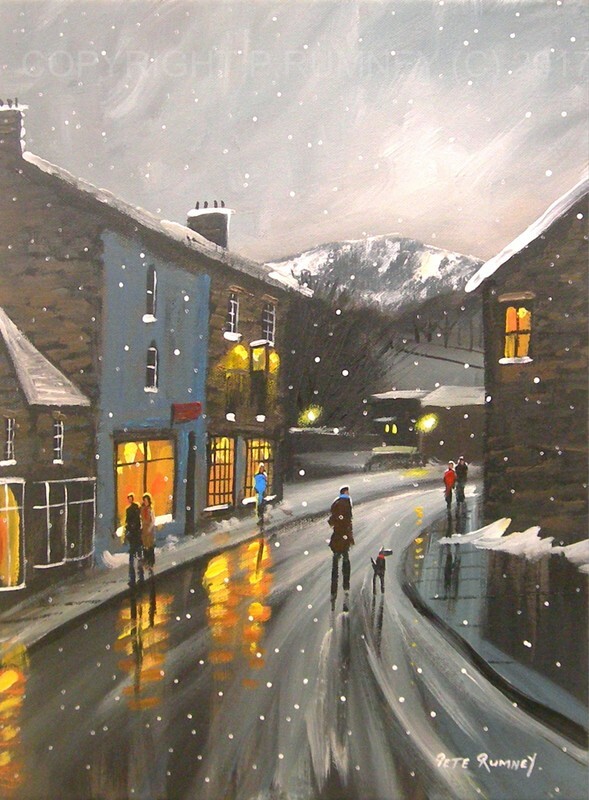 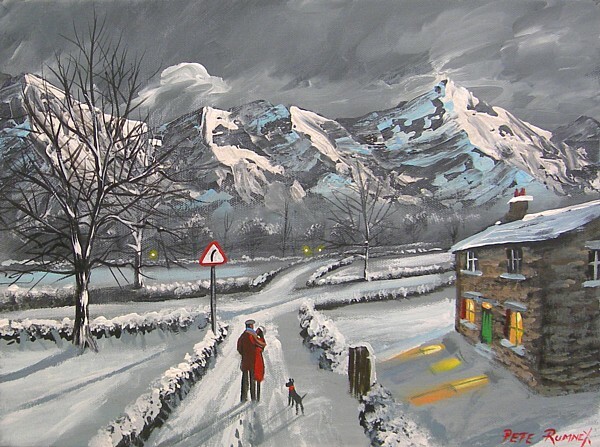 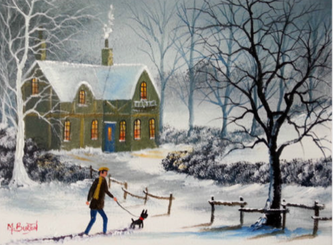 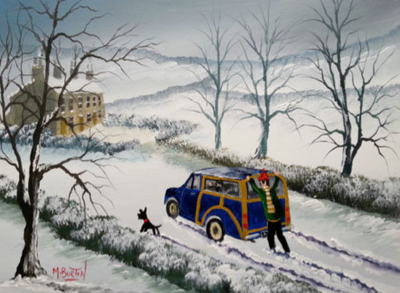 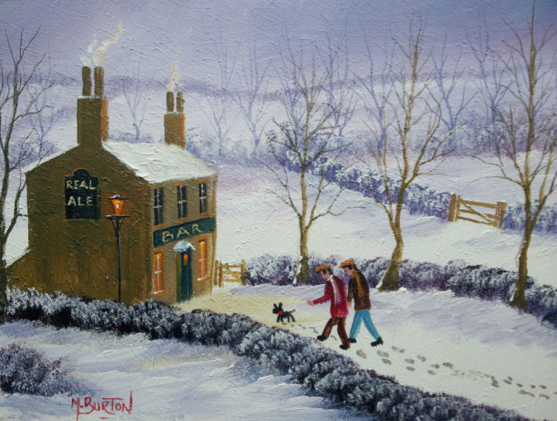 His snow scenes consist of a man and his dog walking in the countryside. Below is the winter gallery of James Downie. 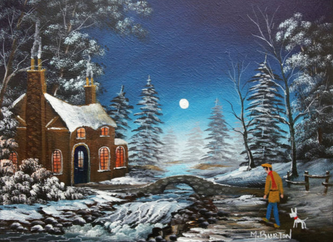 His paintings are some of the most popular and sought after from collectors on ebay. 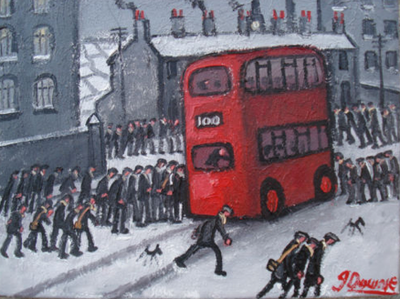 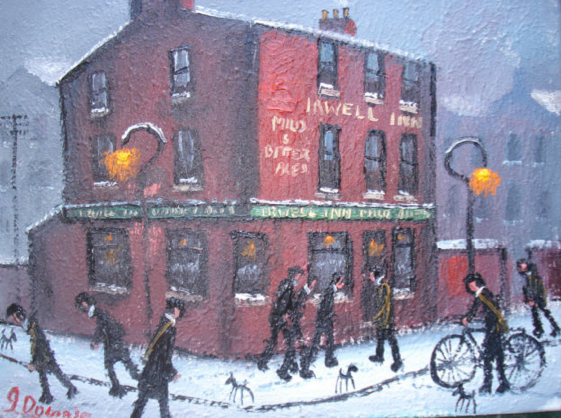 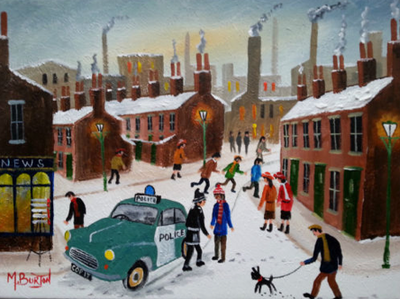 Notably his work is the most similar in terms of in the style of Lowry. 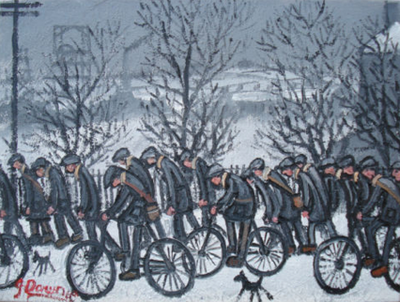 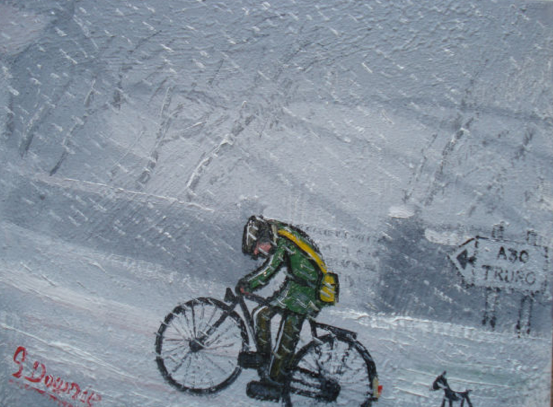 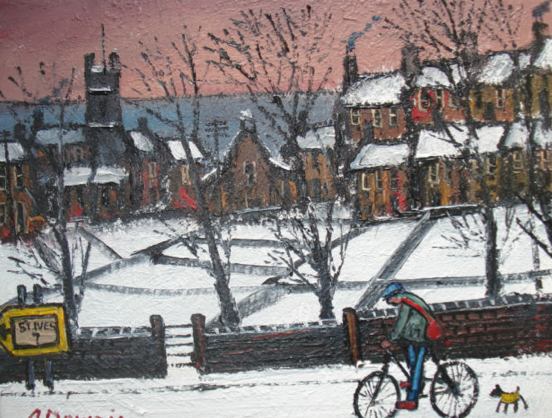 In many of his winter scenes is a man struggling to cycle through the winter blizzard.